Starting from Platis Gialos, we make a parallel journey along the coast, approaching Psarou and Ornos beaches, then on to Prasonisi and the open sea around ancient Delos, in the Agios Ioannis area. When we arrive at Little Venice and its famous Windmills, right before the sunset, just be ready to take in the picturesque view. Wake up your senses and enjoy the spectacular atmosphere! 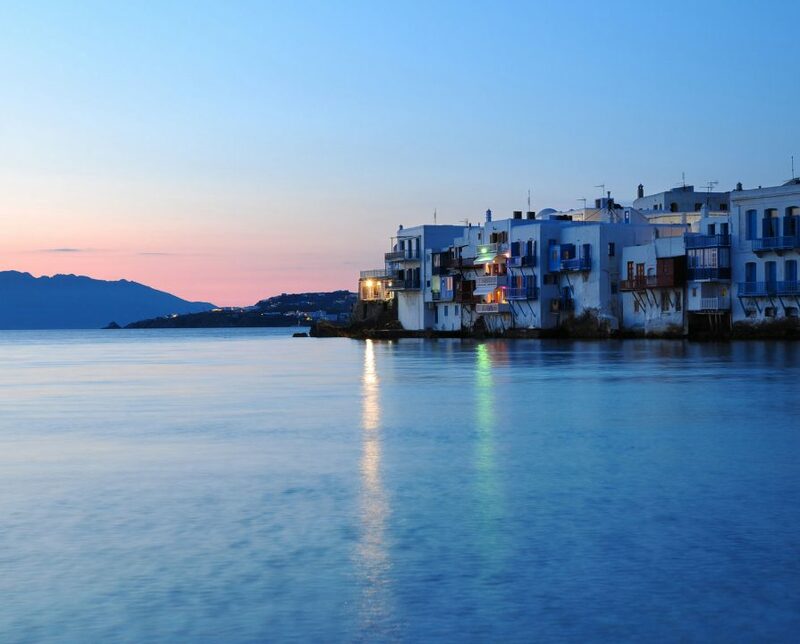 At Little Venice, with its trademark, Windmills, in the background, feel the magic of the moment as the sun slowly fades away and gives way to the upcoming aura of Mykonos’s nightlife. Please note that if the weather conditions are not in our favour we may as well enjoy a nightfall cruise at the South Coast of Mykonos, while feeling the vibes of the always vivid Mykonian beaches. The scenery will be equally breathtaking and the experience will remain unforgettable.